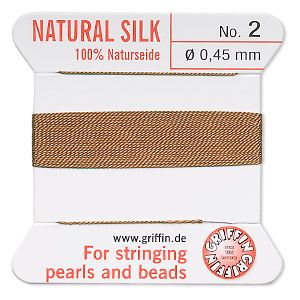 Thread, silk, cornelian, size #2. Sold per 2-yard card. Item Number: H20-3514BS Have a question about this item? The designer's choice for soft, natural materials like pearls, turquoise and malachite. 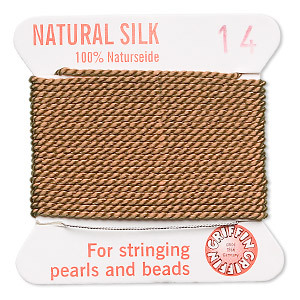 Selected from the finest fibers of the silk cocoon, every thread is smooth and supple by nature, with the tensile strength to withstand even the heaviest materials. 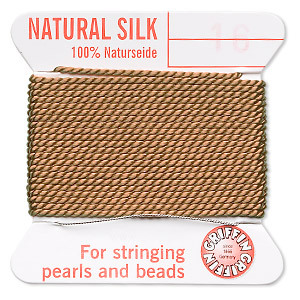 Sold per 2-yard card with flexible stainless steel needle integrated into one end of the thread for your stringing ease. Color may vary from dye lot to dye lot. 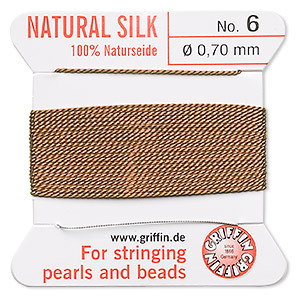 Thread, silk, cornelian, size #6. Sold per 2-yard card. 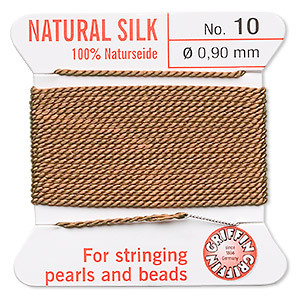 Thread, silk, cornelian, size #10. Sold per 2-yard card. Thread, silk, cornelian, size #4. Sold per 2-yard card. Thread, silk, cornelian, size #8. Sold per 2-yard card. Thread, silk, cornelian, size #14. Sold per 2-yard card. 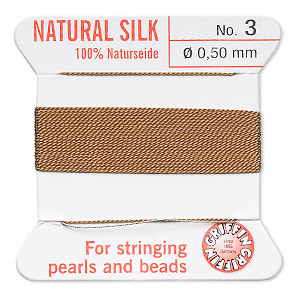 Thread, silk, cornelian, size #16. Sold per 2-yard card. 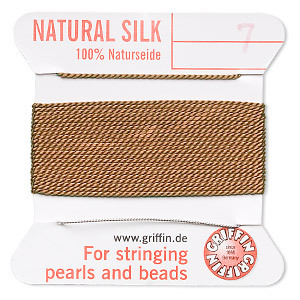 Thread, silk, cornelian, size #7. Sold per 2-yard card. 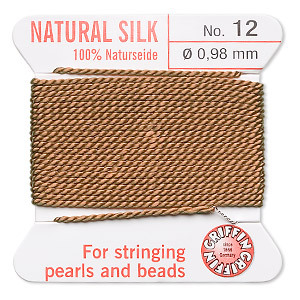 Thread, silk, cornelian, size #12. Sold per 2-yard card. Thread, silk, cornelian, size #3. Sold per 2-yard card. 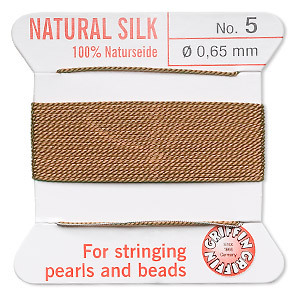 Thread, silk, cornelian, size #5. Sold per 2-yard card.